BUMPER COLOR is a flexible coating suitable for bodywork, especially for bumpers. BUMPER COLOR is an all- purpose product for it can be used either to get a good finish in plastics, or as a primer when they have to be painted. When using it as a finish product, it gives a texture and appearance very similar to new bumpers. We can get different textures by adjusting the nozzle of the spray gun, its pressure and the distance from where the product is applied. 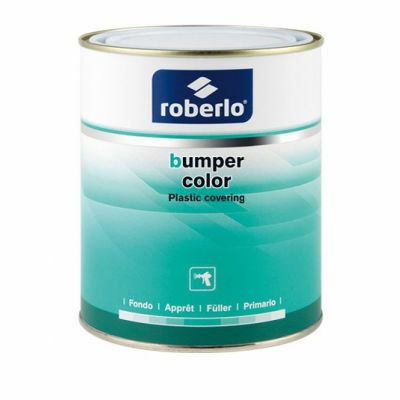 Although BUMPER COLOR is a ready to use product, it can be necessary to add a nitro thinner to adjust the texture.BUMPER COLOR has excellent adhesion, and can be used as a primer for the repairing of bumpers that need to be painted, as well as a basis to increase the adhesion of polyester putties on plastic. In this case, to get a flat finish the product will have to be diluted with SO72.